It's been going on since long before Spanish explorer Juan Ponce de Leon set sail in the 16th century for what is now known as Florida. Legend has it, and a few historians still cling to the belief, that Ponce de Leon was determined to find the proverbial fountain of youth. It's a search that many of us still cling to, whether in our wildest dreams or when shopping for the latest skin cream that purports to take years off our lives (in a sense, some do for the sake of our appearance by reducing wrinkles and moisturizing our skin) or extend our lives well beyond anything ever seen in actuarial tables. When the topic turns to anti-aging, or at the very least a reliable skin moisturizer, one substance that often pops into the conversation is hyaluronic acid. Chances are you've never heard of it, even if you've used a product containing it. 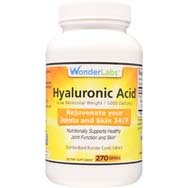 Hyaluronic acid, described in a recent piece by The New York Times as a clear, sugary goo, is naturally present in our bodies, found mostly in the fluids in our eyes and joints. No, it is not then harvested from humans to be used in products that claim to have anti-aging properties; for that use as well as for medicines, says webmd.com, it is extracted from rooster combs or made by bacteria in laboratories. Don't get too excited: To say that hyaluronic acid is a source of a fountain of youth is just a figure of speech, wishful thinking. There is no evidence that it or any other substance known to man can stop us from aging, but it can help make us look younger without plastic surgery. What it can also do is act as a cushion and lubricant in joints and tissues, and might even help our bodies recover from injury. Dermatologists have a friend in hyaluronic acid, saying that its "plumping" and moisturizing qualities can accommodate up to a thousand times its weight in water. New formulations, according to the Times, have solved the problem of the acid's molecules being too large to penetrate the skin's surface, thus enhancing its effectiveness with longer-lasting results. The substance's existence as a natural component of skin is what makes it so appealing to consumers. "It is an important component of the fluids in the eye, in connective tissue and in the skin," says New York board-certified dermatologist Jessica Weiser, quoted at huffingtonpost.com. 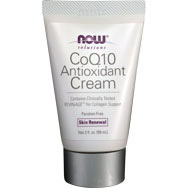 "It is important for structural support of collagen and elastin in the skin. "When applied topically to the skin, hyaluronic acid holds water to the skin surface to increase hydration of the cells and surface, without occlusion (blockage). This moistens the skin surface to alleviate dryness, facilitate healing and create a protective barrier." In short, the hyaluronic acid in skin products makes it a good hydrator for persons who have dry skin or are eczema prone. It's also useful in replenishing the acid content in our skin as we age, possibly helping to alleviate dry, sagging or wrinkling skin. Note, too, that diet and tobacco use (smoking) can also affect our body's level of hyaluronic acid over time, says Cleveland Clinic. Injected into the eye to help replace natural fluids during certain eye surgeries such as corneal transplants and detached retina repair. As a lip filler in plastic surgery. For treating various joint disorders, such as osteoarthritis. For topical application to the skin for helping to heal wounds, burns and skin ulcers, in addition to its moisturizer qualities. The Times also reports there is new evidence that it may also stimulate collagen growth. 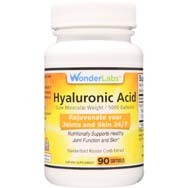 Chances are that hyaluronic acid won't keep you alive for another 200 years, but, it's worth keeping around to potentially benefit your "normal" life in many ways, with perhaps more to be discovered if we stick around long enough.